Yesterday my ward colleague Cllr Rob Merson (SNP) sprang an emergency motion to remove me as Vice Chair of the Formartine Area Committee. To my astonishment, Rob was unable to clearly articulate what the emergency was - but the Chair Cllr John Loveday (LibDem) agreed to take the motion. And the motion was passed. Cllr Merson cited comments I have made about my colleagues indecisiveness re the siting of a new Ellon Academy and my failure to attend some site visits as the reasons for my removal as Vice Chair. I don't think these have anything to do with me as Vice Chair. And indeed I have received no complaints or even adverse comments regarding my role as Vice Chair. So what motivated Cllr Merson and the other Formartine Councillors to act in this way? I know Cllr Merson doesn't like me mentioning him on this blog (see comments to post below). And of course we have political differences. But I think this is simply a continuation of the divide on the Formartine Area Committee post Trump. Faced with a planning application at Menie, my colleagues are prone to saying things like "We must press ahead as quickly as possible with this development". No. We have a duty to scrutinise all proposals and ensure that the conditions of the permission granted by the SNP government are complied with. Not being Vice Chair will not stop me doing that job. And it will not stop me speaking out to protect the Menie residents whose homes remain under threat because my colleagues refuse to rule out compulsory purchase and keep giving the Trump Organisation every reason to believe that they can ask and it will be given. Myself as Vice Chair (may 2007 to 31st August 2010) in a display at the area office. I am sorry to read that but until we get independence they are the loudest voice we have. I see trump(deliberate) and his henchmen are overiding all things Scottish. But the problem with the SNP is that the only thing that matters is independence and they will sell Scotland ... or even give its assets away ... if it furthers that single aim. That is not principled or even decent. I am not saying that the LibDems or Tories are any better (there were no Labour in Aberdeenshire to be tested by I mind Jack McConnel's fawning). But the SNP seem to have lost every value. I was against Trump from the start before the SNP 'got involved' via the 'dubious' actions of Aberdeen council who seem to allow developments throughtout their duristriction under very dubious circumstances removing green sites from use of the locals. The Green's as are all political parties guilty of using economic growth in their pontifications to the uninformed public to influence there vote rather than address the reality of shrinking access to finite resources. So until all parties tell the truth to the public that economic growth is unsustainable on a finite planet with more and more mouths to feed they have to go with the flow or be demonised as cranks. My priority is Independence and if along the way we lose some things I have to accept that otherwise we will never achieve anything and lose everything in these lands. A few facts, my friend. Aberdeenshire Council REJECTED the Trump application. The SNP government called in the application post decision - an unprecedented action - after that decision. The only reaons to call in a rejected application was to approve it - as events proved. The previous Labour/LibDem admi8nistration was equally in favour of the application viz Malcolm Bruce MP in the summer of 2007 asking me to approve the application so that "the LibDems get the credit rather than the SNP". Frankly they were all panting for Trump. The Greens are the only part to recognise that resources are finite and that we are using these in a totally unsustainable way. The SNP changing "sustainable development" to "sustainable economic growth" just gives a flavour of their level of greenwashing their one aim - growth at any cost. Sorry - I don't often get angry but independence or not is a side show compared to the urgent need to work internationally to reduce carbon emissions. Fly in fly out tourism can't be part of the solution. It is part of the problem. As I remember it was head of Aberdeen council who complained or that is how I read the media interpretation but if say different I can't contest being on the outside of political circles. "sustainable economic growth" that is what I am complaining about its total nonsense, there is no such thing as its impossible which is decieving the public. Cheap energy plus finite resources equals growth OK.
Dearer energy (getting harder to supply) plus finite resources (getting harder to find) equals economic shrinkage as world population increases. Carbon emissions: if one sits down doing nothing all year one emits 1/3 ton carbon as soon as they start doing things those emissions rise depending on their exertions as more calories need to be consumed to provide the energy for that movement. Not sustainable no matter what political colour one is with an expanding population with diminishing resources. I am on the environment side but until we get total control of our country it will never change and we will be left with a wasteland. So please don't tar all SNP supporters as if economic reasons are our drivers some of us are realists and have to bite our tongues some times. 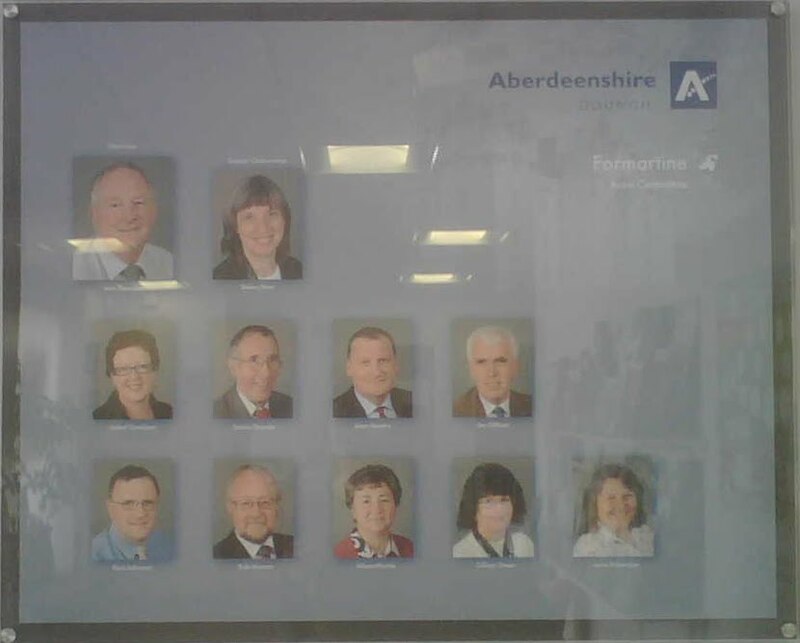 Menie is in Aberdeenshire so it was Aberdeenshire Council that determined the applciation. I know I sat on both the Formartine Area Committee and the Infrastructure Services Committee that considered the application and finally rejected it. It is also a fact that the stupid phrase "sustainable economic growth" came in with the SNP administration. I am not saying the others are in reality any different - maybe the SNP are more honest in using this twisted phrase (if you see what I mean). But locally I have to deal with Rob Merson and Allan Hendry (SNP cllrs both) and I have yet to detect any understanding of sustainability from either of them. There may be SNP sSUPPORTERS who understand that we need to switch from a high resource use economy to a low resource use one (and that doesn't mean we necessarily move to poverty). But the elected SNP I see - from Alex S downwards have blinkers on from their devotion to just one question - and are in fact doing damage to Scotland in the here and now. If they want to demonstrate that an independent Scotland is sustainable, they need to consider not just the financial economy but the resource economy. We have seen what a financial crash brings - why can't we see that the parallel resource crash is coming? All politicians from all parties are economicaly driven because the general public are told that that is their individual right. Its changing that perception that is the difficult part and in fact impossible under Westminster rule as they are adrenelin junkies and will have everything crashing all around them and still strive to prop up a system that is doomed to fail. Solutions can only be achieved once that chain is broken otherwise we are only polishing the links until internal corrosion wins and only a false facade props up ones dignity and wellbeing. I have to accept some bad/poor decisions until one is in a position to be able to show disquiet. Every country is sustainable as long as they dont try and be something they are not, Easter Island.